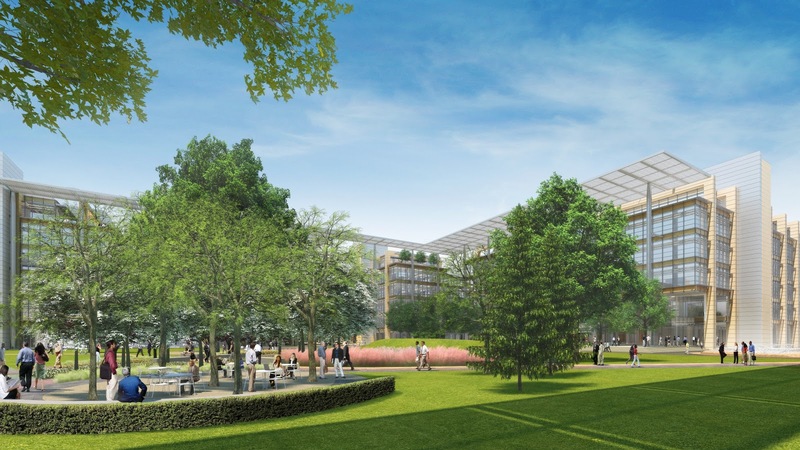 Yesterday, ExxonMobil announced the consolidation of Houston area employees into a central campus of 385 acres just south of The Woodlands Texas. It is located at the intersection of Hardy Toll Road and I-45. As expected, their intention is to bring work teams together from multiple disciplines to improve their business through innovation and collaboration. The location will provide very near access to three major traffic thoroughfares for commuters. Development in this area has been dramatically active. A nearby master planned community was recently announced for shopping and living, that will compete with the commercial and housing in The Woodlands and nearby areas. The Woodlands Development Company is challenged for finding better commute means for home owners where the new development will likely provide much easier access to new homes for ExxonMobil employees. Employees of ExxonMobil have already started to purchase homes in The Woodlands and the surrounding area, anticipating their future office consolidation. In the Village of Creekside Park, Gosling Road to the Grand Parkway will need to be widened in Harris County. Commercial development along Gosling to the parkway will be quite important. Visionary developers are likely looking and acting on this opportunity now. ExxonMobil conducted a comprehensive real estate strategy study by a team of consultants and internal staff to determine the benefits and location of this new campus. Construction of the facility has been underway for months. 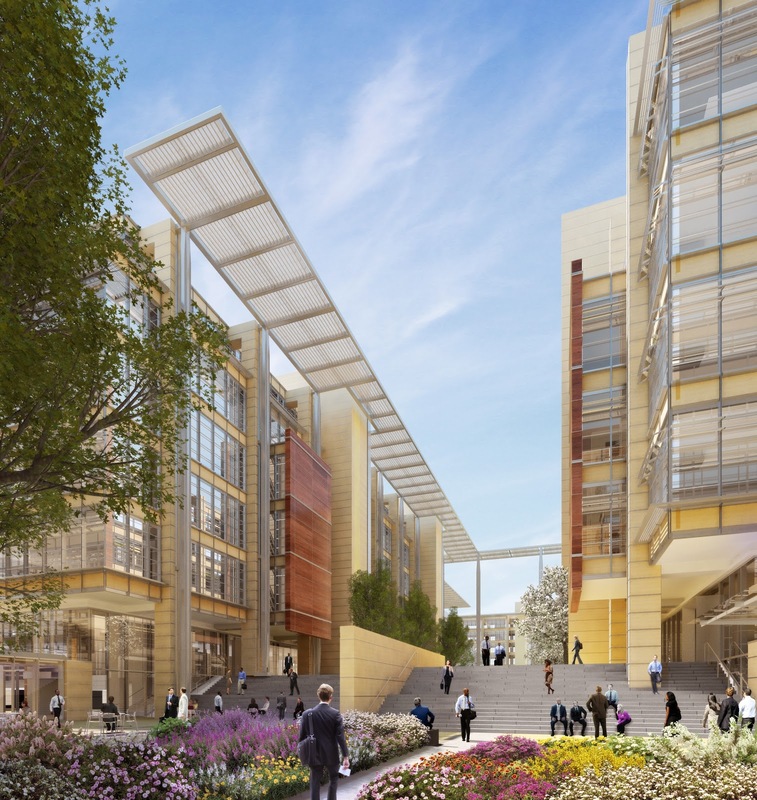 "The campus will include multiple low-rise office buildings, laboratory, conference and training facilities, outdoor open spaces, several food venues and other employee amenities including child care, an on-site wellness center and various retail offerings." 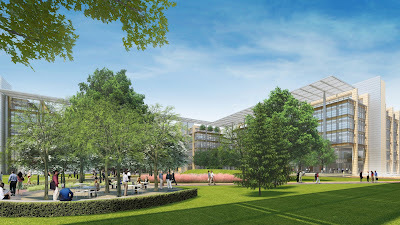 Employees will be looking forward to the forest setting, a pot-load of amenities on campus and modern technology throughout the campus. As would be expected, the upstream and chemical business lines will be the bulk of the first deployment to the campus. Additional business lines continue to be studied, notably downstream and its support functions. Financial and corporate services are likely to stay elsewhere, but ExxonMobil has left that open for the future as well. The company has intentionally retained parts of the forest surrounding the campus to present itself as an environmentally conscious corporation. In its design strategy, it is also considering the wellness of its employees. Full occupancy is anticipated by 2015, approximately the same time as the projected completion of the new northern segment of the greater Houston outer parkway, segment F-2 of the Grand Parkway. Occupancy should begin in 2014 with a methodical phased approach to relocate employees. The area's economy will be boosted by this very major corporate commitment and will underscore the presence of a major Oil and Gas technology location worldwide. We can expect inflation of housing prices and continued economic and development growth in the future as demand continues to increase for housing and commercial goods and services. (1) Commentary: Exxon Mobil Consolidation to have Main Campus here?